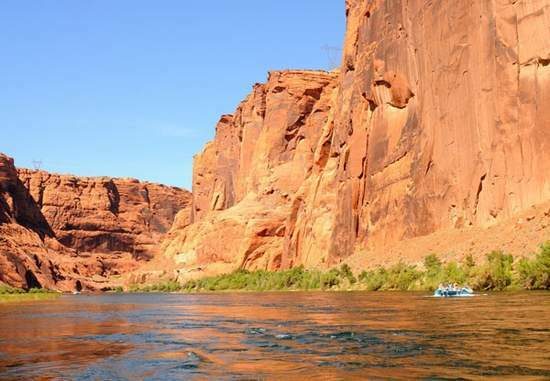 Summit Daily fileIncreased diversions threaten the upper Colorado River ecosystem, conservation groups believe. GRAND COUNTY, Colo. – Increased diversions from the Fraser River, in Grand County, could put the entire Upper Colorado ecosystem at risk, a coalition of environmental groups warned Friday. “We’re really nervous. The rivers are only so resilient,” said David Nickum, director of Colorado Trout Unlimited. “You can’t talk about these systems in isolation,” he said, referring to a Denver Water proposal to take more water out of the Fraser River and across the Continental Divide. Nickum and Klancke were referring to a draft environmental study on the Fraser River project. The conservation groups said they’ve already been talking with Denver Water, and that the utility is open to discussing the issues. The draft study was released by the U.S. Army Corps of Engineers Friday. But the conservation groups are pushing for more public involvement, including meetings in Summit County. Residents in the Blue River drainage need to be aware of the project’s potential impacts in their territory, said Becky Long of Environment Colorado. Long said that, as she understands it, the Corps is not averse to having a meeting in Summit County. At present, Denver Water’s Moffat Tunnel and other diversions take about 60 percent of the Fraser’s flow. The Moffat pipeline carries most of it under the Continental Divide to supply water for the Denver metro area. Under a proposed expansion of the Moffat tunnel pipeline, Denver would take even more of the river’s native flows. • Adequate baseline flows in the Fraser throughout the year to sustain fisheries and recreation. • Aggressive urban water conservation and efficiency measures to save more water, such as incentives for homeowners to replace Kentucky bluegrass with drought-tolerant landscaping. More than half of residential water use goes to watering lawns. • Ongoing monitoring of the river’s health and a mitigation plan with the flexibility to adapt to changing conditions.